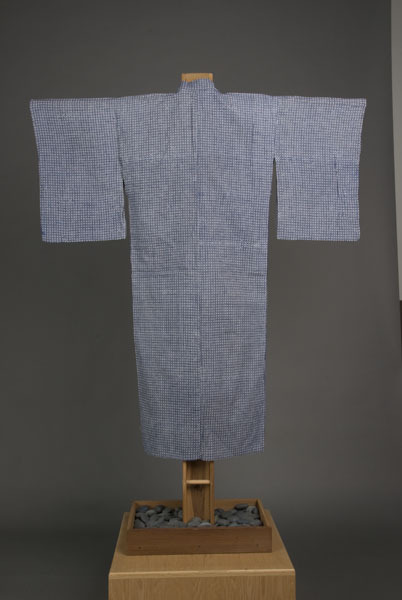 1 yukata : cotton ; 53 x 24 in., sleeves 21 x 12.5 (center back) in., collar 2 in. 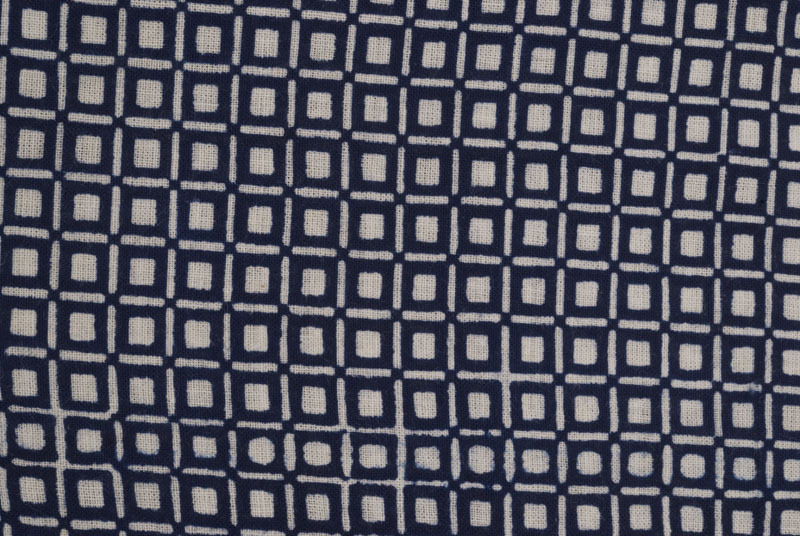 Blue and white woman's yukata with gobanji (square or checkered) pattern. 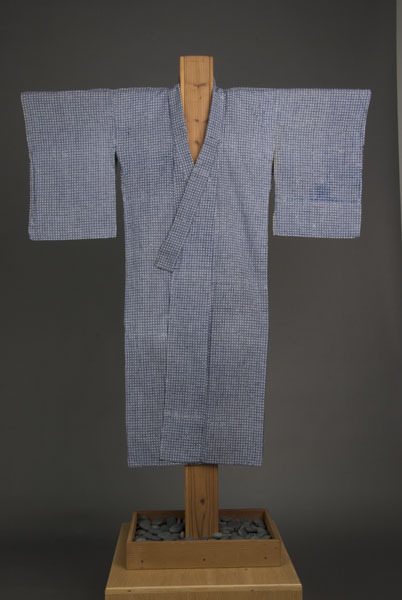 Lined with cream light weight cotton crepe in neck and shoulder area.